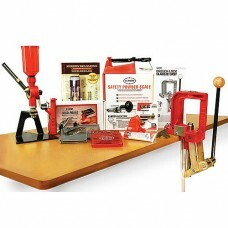 Reloading kits are great if you are new to reloading or want to try a different type of reloading since they include nearly every tool you need to get started. Add reloading dies for your desired caliber, and the appropriate case length gauge if reloading rifle cartridges, and the only other things you need to start reloading quality ammunition are the appropriate brass, bullets, primers and powder. These kits work for both rifle and pistol cartridges. They differ in the way they handle primers. 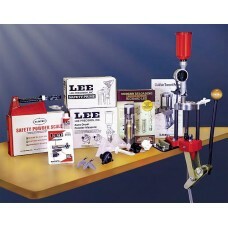 The Lee Precision Anniversary kit is for those who prefer to prime on the press which is commonly done when reloading handgun cartridges since they require minimal case preparation. 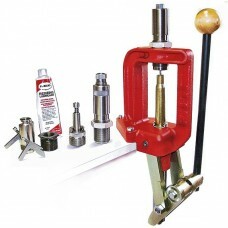 The Lee Precision Breech Lock Challenger kit (shown in the image at right) is for those who prefer to prime off the press using the Lee Precision Auto-Prime XR. Off-press priming is often done when reloading rifle cartridges that need to be trimmed to the proper length. Both kits are generic since they don't include dies for any particular caliber and both are suitable for beginners and experienced reloaders alike. If you intend to reload rifle calibers, you should also add the appropriate case length gauge and shell holder to go with the case trimming tools included in the kit. Handgun cases seldom need to be trimmed as they generally wear out before case length becomes an issue. However case trimming tools are available for handgun cases if you want to ensure they are always the correct length. 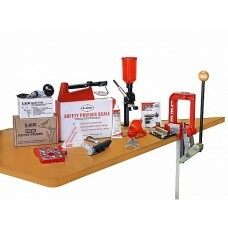 This kit includes the very popular Lee Precision Four Hole Turret Press along with most of the tools you need to get started loading for rifle or pistol. You just need to add the dies for your desired caliber to complete your pistol reloading set up. While the Lee Precision Under-Size Mandrel .282 can use most any brand of dies, we highly recommend you choose Lee Precision Rifle Dies or Lee Precision Pistol Dies because, (except for Lee Precision RGB dies) they include the shell holder which is necessary for the press to use the dies. They also include Lee Precision's patented Powder Through Expander die which allows you to flare and charge the case mouth at the same time. And they include load data and a powder dipper at no extra cost. The Lee Precision Under-Size Mandrel .282 is ideal for reloading handgun cartridges. With a little practice, you can easily load up to 250 rounds per hour. These inexpensive items are necessary to help ensure your cases are the proper length and to adequately charge the larger capacity rifle cases since the powder measure that comes with the kit is designed for charging handgun cases. 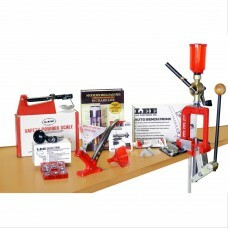 Another great way to get the tools you need to begin reloading. The Classic turret press is fast and convenient when loading handgun cartridges, with rates in excess of 250 rounds per hour possible. You can also batch load rifle cartidges with the Classic Turret Press by deactivating the auto-index feature. Large and Small Lee Precision Safety Prime for easy on press priming. Instant change 4 Hole Turret that makes changing calibers a snap. These inexpensive items are necessary to help ensure your cases are the proper length and to adequately charge the larger capacity rifle cases since the measure that comes with the kit is designed for charging handgun cases. Lee Precision Die Reducer Bushing to accept standard 7/8-14 dies so you can also load all your smaller cartridges. 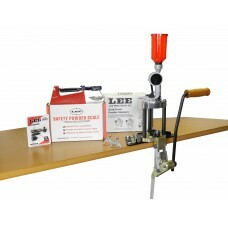 The Lee Precision Breech Lock Hand Press Kit is a portable reloading kit in a box. Order a set of d.. 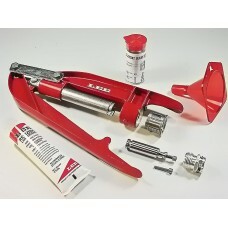 The Lee Precision Breech Lock Challenger Kit is for designed for priming off the press. The Lee .. 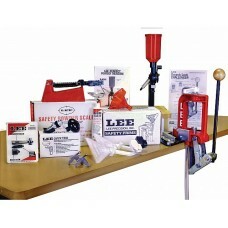 The Lee Classic Turret Press included in this kit features the solid steel linkage of Lee's Classic .. The Lee Classic Cast 50 BMG Press Kit reloads the monster 50 BMG. The frame is made of rigid cast ir.. This kit includes the Lee 4 Hole Turret Press which features a proven design that utilizes turrets l..